Healing Solutions’ blog is intended to educate people about emotional management strategies and other lifestyle and self-care techniques to improve your overall health and well-being. Subscribe to our mailing list now and receive my FREE e-book, “Understand Your Brain, Your Emotions, and if You Need Therapy“. The eBook is filled with a wealth of information to educate you on how your emotions work, why patterns develop, how to decide if you need to reach out for help, and some tips on how to choose a therapist. We hope you gain a lot of knowledge from these materials and continue creating a wonderful life for yourself. 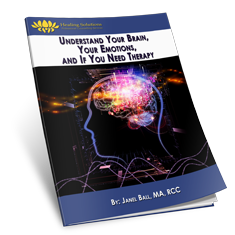 Subscribe to the Healing Solutions Blog and get my FREE e-book “Understand Your Brain, Your Emotions, and if You Need Therapy”.